The weather definitely doesn't agree but Summer is definitely here and so it's time that I put together an overly ambitious list of books I want to get read this summer that I will probably only read a handful of but hey you never know! This summer there's not that many books I currently own that I have the intention of reading in the next few months but I would love to continue reading the Harry Potter series. I might have to put this on the back burner due to the very wintery feel to these but I might get round to reading one or two more. That's similar to The Revenant by Michael Punke. I recently included this in a haul and expressed how different of a read this is for me and it's one that's on my list but not an urgent read. Another one I hauled and hope to get read really soon is Kindred Spirits by Rainbow Rowell; being such a short story this shouldn't take me long at all. Silence is a Goldfish by Annabel Pitcher I have owned for a while and while loving Pitcher's other books, I wasn't able to get into this very quickly but, hopefully, I'll get round to it this summer and finally get it done. Also, Girl Online by Zoe Sugg. I'd read the first few chapters when I purchased this a while ago but quickly felt the audience was one a little younger than me but now all I want is easy reads so this might be a great one to pick up if I get stuck in a reading rut. Summer Days and Sumer Nights is one I definitely have to get round to reading; the title (obviously) screams summer! They are the only books I feel a slight urgency pick up this summer but there's no doubt I'll be picking some new books up in the coming weeks. One of those I hope is Miss Peregrine's Home for Peculiar Children. After discovering this isn't a horror book about an asylum for mentally ill children it sounds like one I'd enjoy and would love to read before the film comes out later in the year. Ready Player One is also set to come out in a film and it's been one I've been meaning to pick up for a while so now is the best time for me to do that. There are a few sequels that I might choose to pick up (P.S I Still Love you and How Hard Can Love Be?) but apart from that, I think I will just play it by ear. There are a few other books that I've recently seen that I wouldn't mind reading so, like every other year, I might not end up sticking to this TBR but we'll see! 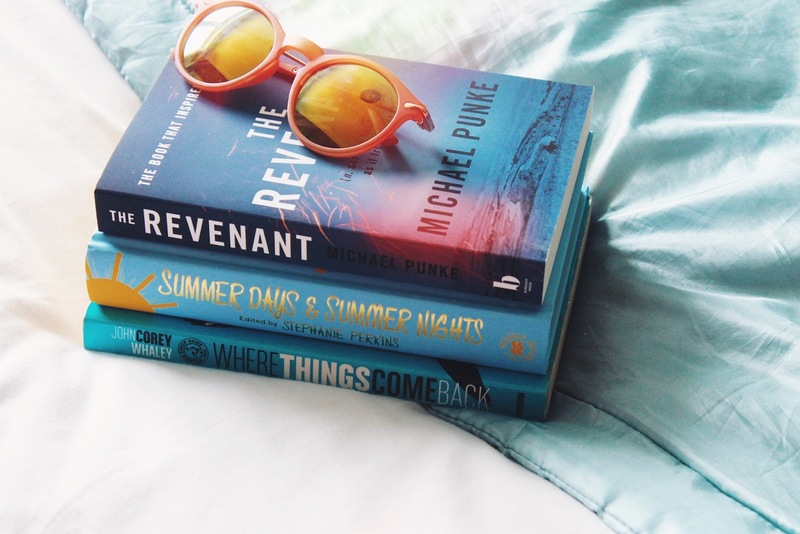 Any books you're planning to read this summer? Any summer book recommendations to add to my long list to read?